NEW YORK (February 28, 2017) – FlightSafety International announces that Scott Goodwin has been promoted to General Manager, Simulation. Scott has overall responsibility for the design, manufacture and support of FlightSafety’s full flight simulators and other advanced technology training devices. They are used throughout FlightSafety’s worldwide network of Learning Centers and by government and military agencies and commercial aircraft operators around the world. 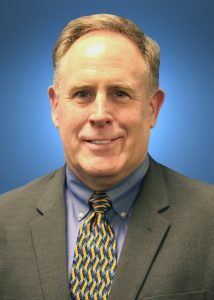 He assumes this responsibility from John Van Maren who will develop and lead a new organization designed to increase sales to government agencies and the Commercial Air Transport segment as Vice President, Simulation Products and Services. Scott joined FlightSafety in 2014 as Deputy Director for Special Projects. He was promoted to Executive Director, Simulation the following year. His responsibilities included overseeing daily operations and conducting long range planning. He served in the United States Air Force for over 30 years and retired with the rank of Brigadier General in 2013. Scott served as Director of Operations for Air Mobility Command at Scott Air Force Base in Illinois. He oversaw the training and evaluation of more than 20,000 flight crew personnel operating 1,300 aircraft around the world. Scott also served as the Director of Mobility Forces during the Libyan crisis, Director of the Deployment and Distribution Operations Center in Kuwait and Operations Group Commander at Balad Air Base, Iraq. He served in Washington, DC on the Joint Staff and as one of the Team Leads for the National Military Command Center. He commanded at the squadron, group, wing and task force levels. Scott is a highly experienced combat pilot with over 3,500 hours primarily in the C-130, C-5M and C-21 aircraft. He received a Bachelor of Science degree in Aeronautical Engineering from the United States Air Force Academy, a Master of Science and Engineering in Mechanical and Aerospace Engineering from Princeton University as a Guggenheim Fellow, and a Master of Arts in National Security and Strategic Studies from the U.S. Naval War College. Scott was also a Senior Executive Fellow at the John F. Kennedy School of Government at Harvard University.